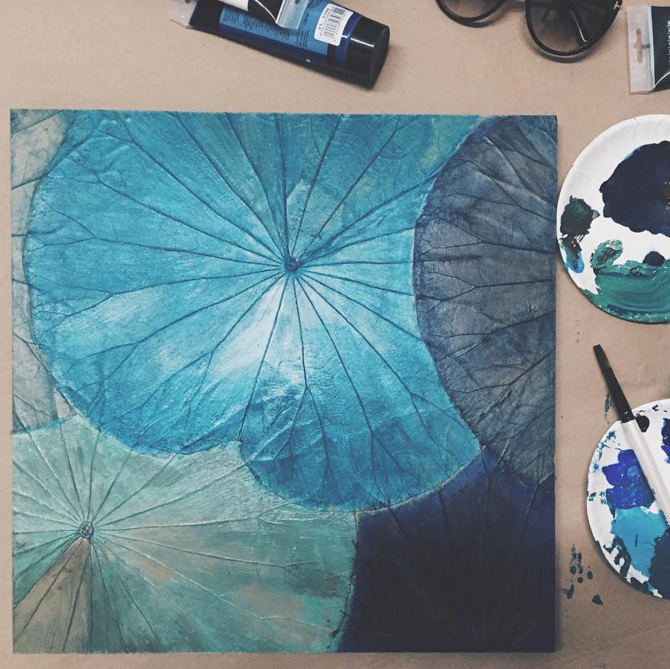 Himapan USA is a NYC based lotus-leaf painting workshop with a tradition that is firmly rooted in Thai culture. With studios thriving in everywhere from Thailand, Vietnam, the Czech Republic, to Canada, Himapan offers a unique and accessible opportunity to flex your creativity and produce an exquisite work of art to take home with you. Sign up, choose a canvas, and start painting. We have a great selection of canvas, paints, brushes/sponges, varnish, and helpful staff to inspire and get you started—then paint away! Bring your friends, colleagues, and family for a night of crafty fun and relaxation. Sign up with your email address to receive exclusive deals, news on upcoming classes, and much more! ©Copyright 2016 Himapan LLC All Rights Reserved.